The latest title from Edward Klein, the former editor-in-chief of the New York Times Magazine and author of 'Guilty As Sin,' a book about Hillary Clinton, hit shelves on Monday. 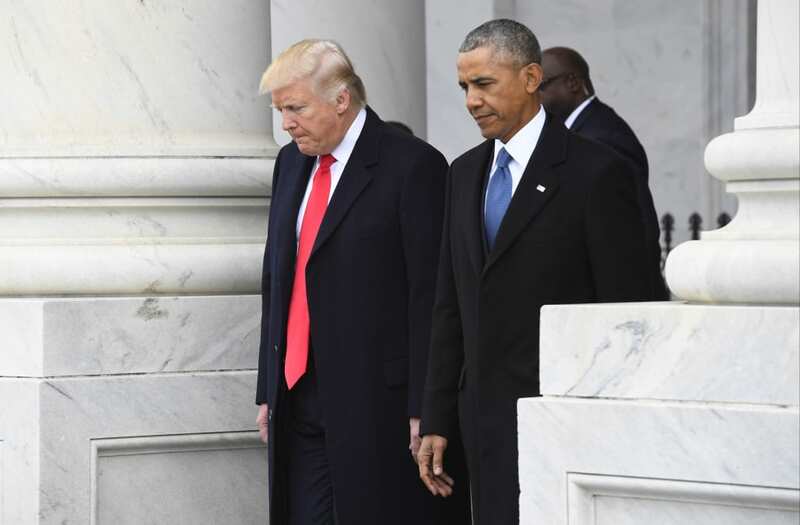 Called 'All Out War: The Plot to Destroy Trump,' it focuses on the Obama White House's alleged plan to destroy the current leader, reports the Washington Times. "In America...you are not entitled to overthrow the democratically elected president of the United States...That, however, is what Donald Trump's enemies on the Left and Right are doing," the description posted to Amazon notes. "Through a variety of underhanded tactics―lies, leaks, obstruction, and violence―they are working to delegitimize President Trump and drive him from office before he can drain the swamp and take away their power." The Washington Examiner reports in the book that the alleged plot began to take shape around Christmas. According to the media outlet, Klein notes that then-National Security Adviser Susan Rice pushed a plan to, "unmask, or disclose, the names of several Trump campaign associates who were mentioned or whose conversations were captured in intelligence intercepts of Russian officials." The book is already an Amazon best-seller, taking the top spot in the Political Corruption and Misconduct category. Meanwhile, President Trump himself has repeatedly slammed the Democrats for attempting to weaken his presidency. "All of this 'Russia' talk right when the Republicans are making their big push for historic Tax Cuts & Reform," Trump tweeted Sunday. "Is this coincidental? NOT!"